Allan Calders Ltd, manufacturers of quality decorative fencing tops and roof finials and quality sandpaper suppliers and Timber products. Thank you for visiting our on-line store. 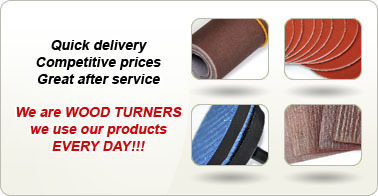 Here you will find high quality wooden products and sandpaper supplies at competitive prices. We carry a wide variety of sandpaper sizes and grits to ensure you achieve a professional finish with every sanding application. We pride ourselves on high quality products and are proud to offer a unique personal service to everyone, from the amateur to the enthusiast to the professional. Our main goal is to serve you the customer and have an enviable reputation for commitment to quality and efficiency.